As always during November, the wintering wildfowl start to arrive and move through in number at Tophill Low NR in East Yorkshire. Goldeneye Bucephala clangula are now more evident on the reservoirs, and small groups of Whooper Swan Cygnus cygnus moved through during the period, including this group of six (but only five in the photo) which had a brief stop on both reservoirs on the 18th before continuing their incredible migration south. 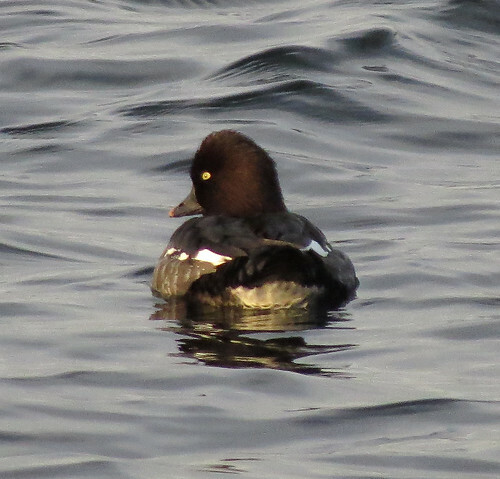 An impressive 20 female/1st winter type Common Scoter Melanitta nigra were present on the 13th – the second highest flock in site history. 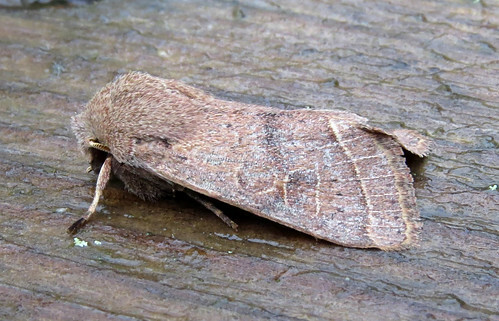 Predictably, the month was quieter for moths, especially since mid-month. The second Common Quaker Orthosia cerasi of the autumn was trapped on the 3rd, while Winter Moth Operophtera brumata and Mottled Umber Erannis defoliaria were new additions to the year list which currently stands at a minimum of 517 species pending acceptances, with possibly more to add as the record-breaking Lepidoptera year continues. The nightly roost of gulls has predictably turned up surprises during the month. After a record-breaking Mediterranean Gull Ichthyaetus melanocephalus number during October, only 11 were seen during November with the highest evening totals numbering three on two occasions. A juvenile Iceland Gull Larus glaucoides dropped in briefly on the 19th. Most records of the species tend to be in the second part of the winter (January-March) and this individual was only the sixth individual noted in the first part of the winter since first recorded on site in 1981. ‘White-wingers’ are scarce during the early winter season at Tophill Low, indeed this was only 12th record of a ‘white-winger’ before January in the reports dating back to 1981, with 10 of them occurring since the turn of the millennium. 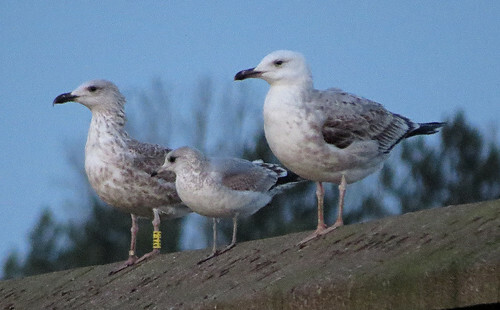 It was also the third ‘white-winger’ recorded in the month of the November – the only previous records involved a Glaucous Gull L. hyperboreus on 25th November 2001 and an Iceland Gull L. glaucoides on November 29th 2003 – thus this becomes the earliest ever winter Iceland Gull L. glaucoides in site history, and probably the earliest winter white-winged gull record since the reservoir was constructed in 1959. 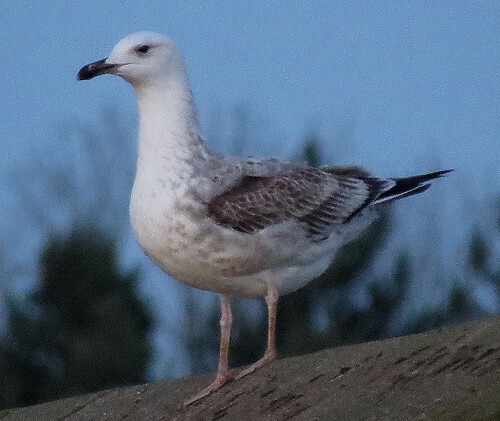 A first-winter Caspian Gull L. cachinnans was present in the roost on the 26th, which despite best efforts could not be photographed. Unsurprisingly, the bird failed to reappear the following day, but another, incredibly showy individual was present. The evening of the 28th saw presumably Sunday’s bird present once again in the roost, and then on the 29th, for the first time in Tophill history, two were present, and further checking of the photographs, video and notes is required to determine exactly how many birds were involved, especially as few of the scarcer gulls that appear on the reservoir visit on more than one evening. The appearance of these individuals could almost be predicted as they fit into the pattern of previous records of the species at Tophill during the month of November. There is a bias from the 20th onwards, with incredibly three individuals occurring on the same date. 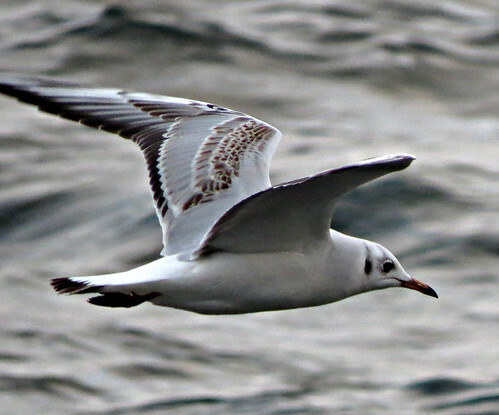 On commoner side of the coin – Black-headed Gull Chroicocephalus ridibundus are present in varying numbers nightly. For the latest news from Tophill Low, check out the blog and twitter feed here.